The end-to-end platform includes a suite of tightly coupled and integrated firmware, software and communication components that are the building blocks for new breakthrough non-invasive, wearable wireless devices with ultra-long battery life. The patent portfolio includes more than 60 issued patents (and another 10+ patents pending) covering sleep tracking and monitoring, HSW Construction, Connected Scales, Algorithms. With the Horological Smartwatch Platform, brands can offer models in designer collections for both women and men, delivering 24/7 activity tracking and sleep monitoring with over two years battery life and support for Apple and Android smartphones worldwide. The platform allows each brand designer to focus on their own identity. The patented sensor-fusion engine tracks activity patterns with high accuracy. Activity information is presented in real-time on the Swiss Horological Smartwatch using beautiful traditional analog dials. The Horological Smartwatch synchronizes automatically with applications on Apple and Android smartphones. On the iOS and Android apps, simple and easy-to-understand graphics highlight how much one has moved and slept during the day, week, or month. 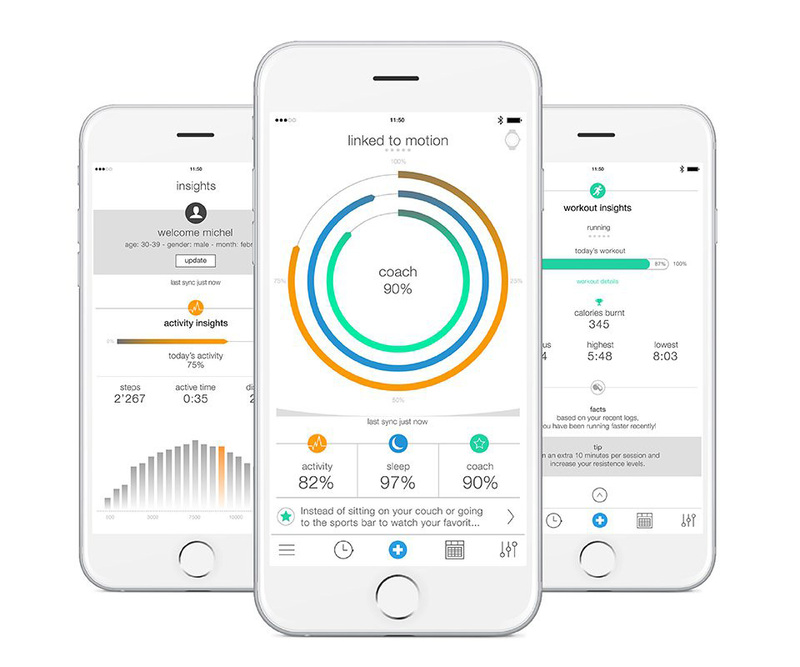 This data will assist users to better understand themselves, and along with appropriate goals setting and intelligent coaching, will improve their well being. A better sleep pattern and a more active lifestyle are widely recognized as simple, but effective, positive behavioural changes. The Horological Smartwatch Platform encapsulates years of research and development on the biomechanics of natural human motion and the mechanics of machine motion. MMT has extensive experience with advanced measurement functions from multiple sensors : UV, temperature, altitude, pressure, meteo, motion and direction. The functions are measured in real time by the watch and displayed on the digital display and the app. We developed sophisticated calibration functions, both automatic and manual. We are constantly improving calibration and accuracy of measurements via new algorithms and APIs. HSW Construction, Connected Scales, Algorithms. Innovation is at the core of everything we do at MMT SwissConnect. For the past years, we’ve been at the forefront of the development of the Horological Smartwatch, inventing new technologies that have helped shape the Horological Smartwatch Platform. We license and own over 60 granted and pending patents covering construction, display, software, images, algorithms, machine learning, and works of authorship of any kind. The innovations our patents cover power key features and functionality that are at the core of the Horological Smartwatch today. We continue to innovate. Each year, we re-invest a significant portion of revenue into ongoing research and development, helping to create the next generation of smart wearables and applications.